Growing up I was never trusted to have candles in my room. When the day finally came I bought a ton of mini candles and I’ve been working my way through all different kinds since. Now that I’m in my 20s I’ve moved away from sickly sweet scents and opted for more sophisticated ones. 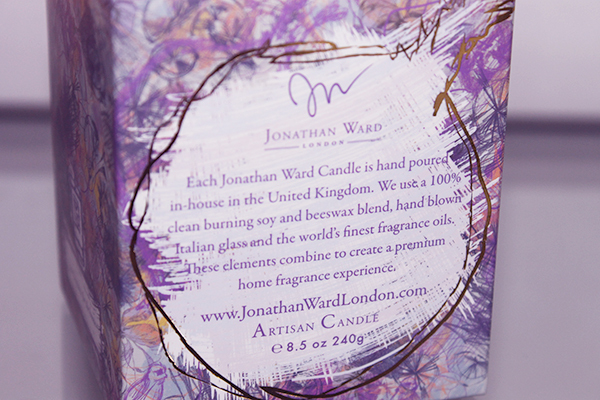 Back in 2011 when we went to London I had my first taste of soy candles (not literally) and it was a game changer. Nothing irritates me more than unevenly burning candles and the struggle it is to even them out so soy candles were the perfect choice. 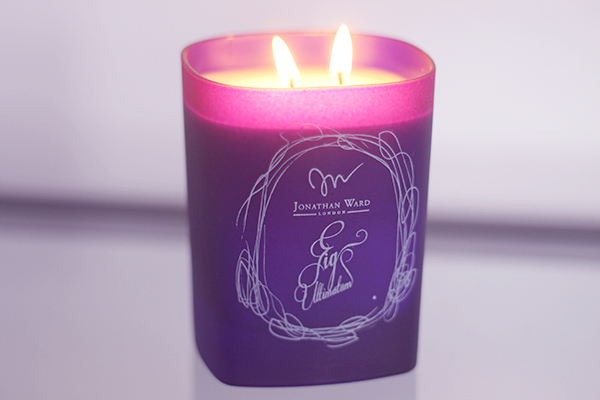 This time, it’s Jonathan Ward’s Fig Ultimatum* candle. First can I say, how gorgeous is the packaging? The attention to detail is amazing and I wish I could keep the box purely for aesthetic reasons. The candle holder is made from hand blown Italian Glass with a sort of frosted look to it. Coincidently our living room has purple accents so my mum has quickly claimed it and given it a place to be noticed. 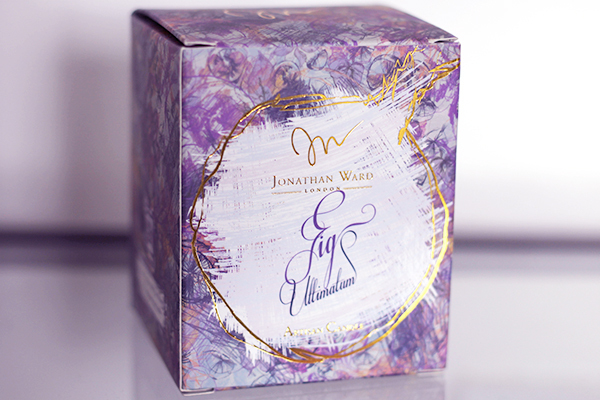 Admittedly, I’m not the best at describing scents but Jonathan Ward describes Fig Ultimatum as: “Inspired by the tearing of ripe fig leaves, blossomed under intense midday sun, Fig Ultimatum offers an original and striking fragrance proposition…Built on a sensual platform of warm honey and peat with rare woods, crushed jasmine buds and touches of pure Iris oil add floral nuances to the middle platform, allowing the insatiable animal green top notes to flourish." If that description doesn’t make you want to go out and buy it, I don’t know what will. All I know is that I want to keep lighting it any chance I get. It has a sweetness to it but far from sickly, more of an earthy sweet scent in my opinion. Very welcoming and inviting. Another great thing about this candle is it’s ability to scent a room without even needing to be lit. When I walk into my living room I’m immediately hit with the scent which makes me want to light it straight away, like it’s giving you a little reminder, hello light me! If you're looking for something a little special to light at the end of the day, I'd highly recommend this candle, I’m now off to light mine!